Sooner or later you will make choices in your life. The decision may be to purchase a new car or choose a new career. However, you do try to avoid making decisions that can later ruin your health or your image. The hair style that you wear can improve your self-confidence, or it can make you less confident if you do not like the final look. Fortunately, the best hair stylists can help create an image you will be happy with and how you appear to society. When you are searching for the best hair stylists in your area, one of the first things that you should consider is if a stylist is fashion forward or not. It is important that stylists are aware of the latest fashion and hair trends so they are able to offer their clients updated styles that are currently popular. There are several other factors to consider when looking for the best stylist. You can easily find the best stylists in your area by simply asking a person who has a style that you like about their stylist. Many times you will find that the person will be flattered that you like their hair style and will gladly provide you with the information you are seeking. Friends, family and work colleagues can also be excellent sources of information. Once you have found several hair stylists you are interested in, schedule a time to visit each salon. During this visit, you should take the time to learn everything you can about the salon staff, the services and the salon’s reputation. Observe how the staff treats the customers, and sit in the lobby or reception area and see how well the business operates. Before you schedule your first salon appointment, schedule an initial consultation with the stylist you have selected. Look at the stylist’s station. Does the station seem clean and organized? Do not be afraid to ask about their education, training or other relevant skills they may have. During the consultation, the stylist should listen to your hair style preferences and offer suggestions that will work with your facial shape, your hair type, your lifestyle and your personality. These are just some of the tips that will improve your chances of finding the best hair stylists. 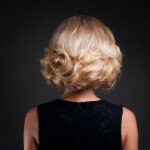 Use these tips to find the stylist who will combine their skills and expertise with the vision you have for your hair. Diana Pagan’s goal is to provide her clients with the best hair experience possible. Schedule an appointment with her today.